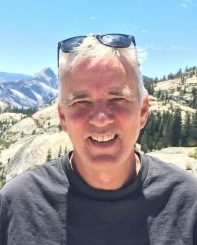 Glen Sproul dit MacDonald (Ph.D., Toronto, 1984) is a Distinguished Professor and Inaugural UCLA John Muir Memorial Chair in Geography, Chair of the UCLA Canadian Studies Program and Director of the White Mountains Research Center. He conducts research and teaches on climatic and environmental change including the impacts of human produced increases in atmospheric greenhouse gasses, water resources, coastal marsh systems, vegetation and fire, and the geography and history of the North American West. Glen Sproul dit MacDonald is a Distinguished Professor and the John Muir Memorial Chair in Geography at UCLA. He holds an AB in Geography from UC Berkeley, M.Sc. in Geography from the University of Calgary and a Ph.D. in Botany with a Geology Minor from the University of Toronto. He works on issues of long-term climatic and environmental change and the impacts of such changes on ecosystems, fire, natural resources and human societies. Particular interests are water resources and the Perfect Drought concept, and the fate of coastal marshes and wetlands in the face of climate change. He also writes on John Muir’s legacy and the creation of a New Environmentalism in the 21st Century. He has published over 160 peer-reviewed articles and an award winning book on biogeography. He has published Op/Eds in the Los Angeles Times, San Francisco Chronicle and Sacramento Bee. He is a member of the National Academy of Sciences, a Fellow of the American Academy of Arts and Sciences, Fellow of the American Geophysical Union, Fellow of the American Association for the Advancement of Science, Guggenheim Fellow and was a Visiting Fellow at St. Catherine’s College, Oxford and Clare Hall, Cambridge. Wang, J., Song, C., Reager, J.T., Yao, F., Famiglietti, J.S., Sheng, Y., MacDonald, G.M., Brun, F., Schmied, H.M., Marston, R.A. and Wada, Y., 2018. Recent global decline in endorheic basin water storages. Nature Geoscience, 11(12), p.926. Holmquist, J.R., Windham-Myers, L., Bliss, N., Crooks, S., Morris, J.T., Megonigal, J.P., Troxler, T., Weller, D., Callaway, J., Drexler, J., Ferner, M.C., Gonneea, M.E., Kroeger, K.D., Schile-Beers, L., Woo, I., Buffington, K., Breithaupt, J., Boyd, B.M., Brown, L.N., Dix, N., Hice, L.,. Horton, B.P., MacDonald, G.M., Moyer, R.M., Reay, W., Shaw, T., Smith, E., Smoak, J.M.. Sommerfield, C., Thorne, K., Velinsky, D., Watson, E., Wilson, K., & Woodrey, M. 2018. Accuracy and Precision of Tidal Wetland Soil Carbon Mapping in the Conterminous United States. Nature.com / Scientific Reports, 8, 9478. Armitage, D., de Loë, R. C., Morris, M., Edwards, T. W., Gerlak, A. K., Huitema D, Ison R, Livingstone D, MacDonald G, Mirumachi N, Plummer R, & Wolfe, B. B. 2015. Science–policy processes for transboundary water governance. Ambio, 1-14. Hargan, K.E., K.M. Rühland, A.M. Paterson, S.A. Finkelstein, J. Holmquist, G.M. MacDonald, W. Keller, and J.P. Smol. 2015. The influence of water table depth and pH on the spatial distribution of diatom species in peatlands of the Boreal Shield and Hudson Plains, Canada. Botany 93(2): 57-74. DOI:10.1139/cjb-2014-0138. Zhang,Z., Y. Xue, G. MacDonald, P. M. Cox, and G. J. Collatz. 2015. Investigation of North American vegetation variability under recent climate: A study using the SSiB4/TRIFFID biophysical/dynamic vegetation model, Journal of Geophysical Research. Atmosphere 120, doi:10.1002/2014JD021963. Beilman, D.W., MacDonald, G.M., Smith, L.C. and Reimer, P.J. 2009. Carbon accumulation in peatlands of West Siberia over the last 2000 years. Global Biogeochemical Cycles 23, GB1012, doi:10.1029/2007GB003112. MacDonald G.M., Porinchu D.F., Kremenetski K.V., Rolland N., and Kaufman D.S. 2009. Paleolimnological evidence of the response of the central Canadian treeline zone to impacts of radiative forcing and hemispheric patterns of temperature change over the past 2000 years. Journal of Paleolimnology 41, 129–141 DOI 10.1007/s10933-008-9250-2. MacDonald. G.M., Kremenetski, K.V., Smith, L.C. and Hidalgo, H. 2007. Recent Eurasian river discharge to the Arctic Ocean in the context of longer-term dendrohydrological records. Journal of Geophysical Research 112, G04S50, doi:10.1029/2006JG000333. MacDonald, G.M. Kremenetski. K.V. and Beilman, D.W. 2007. Climate change and the northern Russian treeline zone. Philosophical Transactions of the Royal Society B. doi:10.1098/rstb.2007.2200. MacDonald, G.M. 2007. Severe and sustained drought in Southern California and the west: Present conditions and insights from the past on causes and impacts, Quaternary International 173-174, 87-100 doi:10.1016/j.quaint.2007.03.012. I study climate change and its impacts on ecosystems and societies. A particular focus is drought and water resources. In recent years I have been engaged in issues of sustainability and bridging the academic, governmental and business spheres to enhance efforts in sustainability. A specific interest is strategies to sustain Californian and Southwestern agriculture, cities and ecosystems in the face of growing human demands and climate change. I maintain very active field and laboratory research. In our lab we reconstruct past climate change and impacts through the use of fossil pollen, fossil stomates, plant macrofossils, insect remains, tree-rings, geochemistry and historical records. We also do work on issues of current and future environmental change with a focus on water scarcity. My lab facilities are relatively extensive and consist of four rooms with full facilities for pollen and plant macrofossil processing and analysis, tree-ring analysis and elementary sedimentological analysis. Field equipment includes livingstone and hiller sediment corers, tree-ring corers and chainsaws, GPS, radios, and misc. field camp supplies. Areas of active field research include California, the northern Great Plains and adjacent Rocky Mountains, the North American subarctic, Russia and Siberia and Egypt.